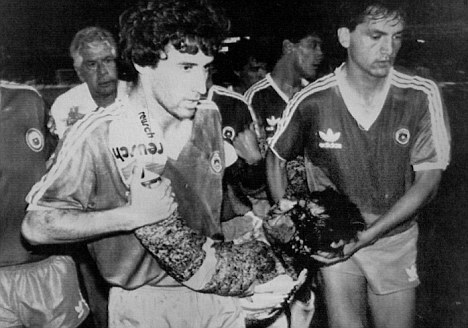 Although it happened over a quarter of a century ago and the fallout ended up effecting the perpetrator Roberto Rojas' Chile side more than their own team, there are still a lot of Brazilian fans that shudder when they reflect on a fateful World Cup qualifier between the two countries in 1989. Before describing one of the most nefarious acts of cheating ever witnessed in a top level match, it's best to provide a bit of background on the stakes involved before kickoff at the Maracana twenty seven years ago. Brazil, the five time World Champions, are the only nation to have participated in every World Cup. In 1989 though, they had to avoid defeat to Chile at home in their final qualifier to ensure their place in Italia '90 the following summer. 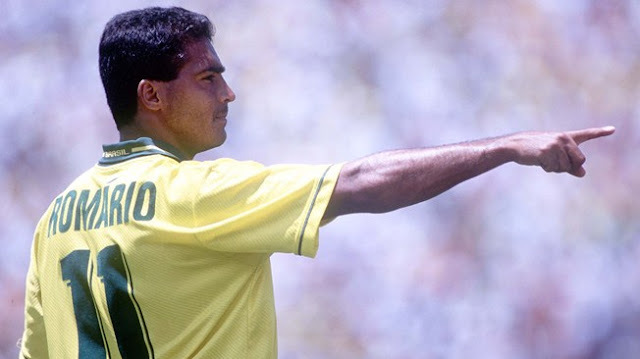 With a squad blessed with legendary players such as Romario, Bebeto, Branco, Dunga and Careca it was an unusual situation to be in, particularly when considering that much of that squad would go on to lift the World Cup five years later. With just over 20 minutes to go in their tension packed tilt with Chile though, Brazil looked to be heading to Italy following a goal from Careca in the 49th minute. But then disaster struck. 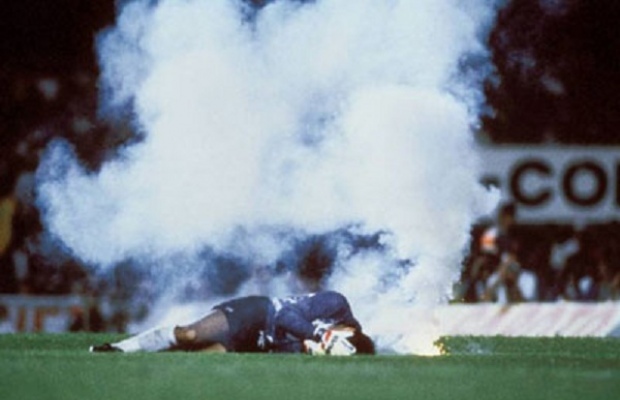 A flare was thrown over Chilean goalkeeper Roberto Rojas' head and the keeper tumbled to the ground clutching his face. His furious teammates waved the referee over to the scene of the crime and pointed out the blood pouring out of his head, soaking his jersey. The referee abandoned the match immediately and Brazil's players were left trembling with the thought that they were going to be thrown out of the World Cup; a tournament that they see as their birth right. 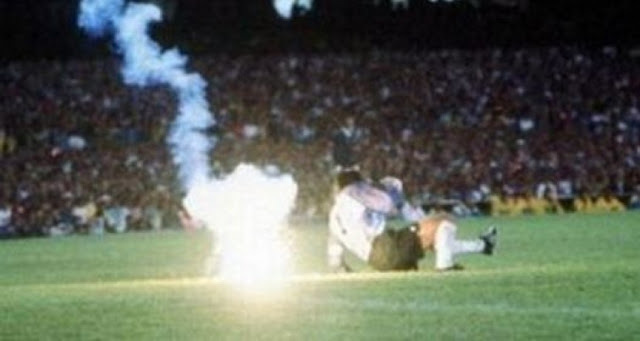 The Chilean media immediately claimed that they had witnessed the flare striking Rojas and had obviously caused his injury, and in the days before smartphones and digital cameras there was scant footage to refute their claims. Fortunately for Brazil, one of their own countrymen serving as a pitch side photographer had captured four or five clear images of the flare landing at least a meter away from Rojas and the goalkeeper's subsequent play acting. It turned out that the Chile stopper, who coincidentally played his club football for Sao Paulo, had concealed a razor blade in his glove and purposely cut himself in planned move to force the referee to abandon the match if the score was in Brazil's favour. 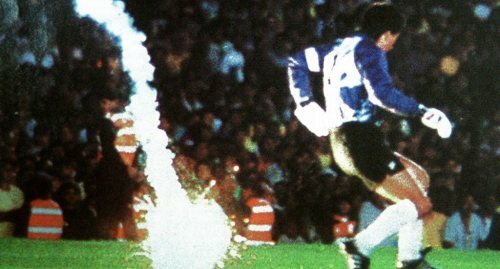 The photos of the incident were turned over to FIFA and Brazil was awarded a 2-0 victory which sent them off to the 1990 World Cup. Chile was subsequently banned from World Cup qualifying in 1994 and Rojas was given a lifetime ban from competitive football, along with his manager Orlando Aravena and the team doctor Daniel Rodriguez. It was a pretty poor attempt at cheating - a flare if it hit you would cause burns and not wholesale bleeding. It really wasn't well thought out. That's for sure.